Posted on 12th September 2018 at 09:20. If you, like many, find yourself blindly following SEO trends, it’s likely your budget is being wasted. SEO can have a strong influence on business success. However, it can be frustrating at times. You may even feel like your money is being wasted. Though we often discuss why you need SEO, we rarely cover the times it can let you down. We wouldn’t be offering a very good service if everything we do is sugar-coated. Let’s look at the pros and cons of SEO, so you can get a good idea of when and where it is useful. There are certain SEO initiatives, such as an audit, that require a developer to make it successful. Without one, there is almost no point in doing an SEO audit. Luckily, we have developers here at Search and More, so this is something you needn’t worry about when using our services. SEO budgets are always problematic. Sometimes the budget is low and sometimes there is too much going spare. You may think that leftover money is a good thing, but it depends on what you choose to do with the remaining cash. Go on a spending spree at the end of the year and your business could ultimately suffer. Always put some budget aside for implementation. You cannot have an SEO strategy without being able to implement it. SEO is data-driven and must stay fresh and accurate. This is not cheap. Burning through your budget for a company that is cheap, and probably inexperienced, will end badly. When the budget is an issue, it’s important to think about alternative routes such as paid ads to drive revenue instead of SEO that is no good. SEO should not be done for the sake of things such as keyword density, PageRank sculpting or any other of the latest schemes. These lack the importance of getting a page to rank. Though PageRank is still an internal ranking factor for Google, it cannot be determined for pages that don’t work in Google Engineering. You also cannot reverse engineer any of the mentioned items as there is too much data to pull. SEO requires a lot of time and patience for research, implementation and report. You cannot expect a quick result. If you give up within a few weeks of implementation, you won’t get anywhere. Most campaigns require 3-6 months for Google to do its job. The biggest SEO limit is that it will not fix a flawed business model. 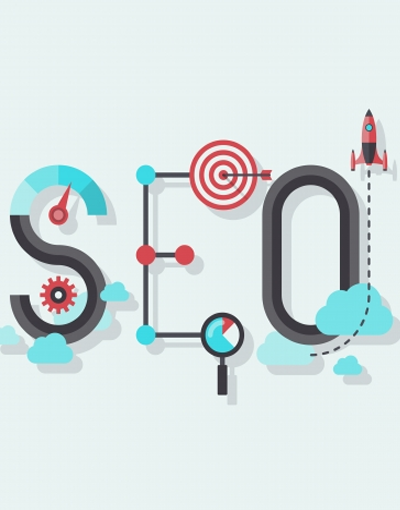 A successful business model can be expanded with SEO. It can also increase revenue by raising organic search visibility. However, site performance improvements will not make a product more appealing if no one wants it. SEO can only do so much to persuade a buyer. One of the biggest money wasters for SEO is following presumed trends. By following a trend, you are reacting to a changing environment. You are not actively changing it. Ideally, you should follow a pre-planned timeline with objectives that are focused on user experience. You should also focus on conversion growth. A proactive approach should develop. A reactive approach lacks leadership. When it comes to SEO, following trends can be a poor strategy. This is because there is so much misinformation out there regarding “the next big thing”. Search engines promote innovation with their users in mind. However, there are too many instances where trends are seen as performance wonders that will benefit everyone. In reality, it’s an example of costly technology that can achieve wonderful site performance results. That said, many websites could accomplish such results by sticking to tried and tested methods and doing the research. SEO trends, though some can prove themselves to have an impact, can be a budget waste. SEO is a rollercoaster. It can go wrong for a variety of reasons. However, bad experiences should not be enough to stop you in your tracks. In fact, it’s likely to be the best reason to commit to SEO. However, you don’t need to do all the work in order to succeed. If you’d prefer to spend your efforts on your business, then Search and More can be there for your SEO. Get in touch to see how we can help your business grow online.